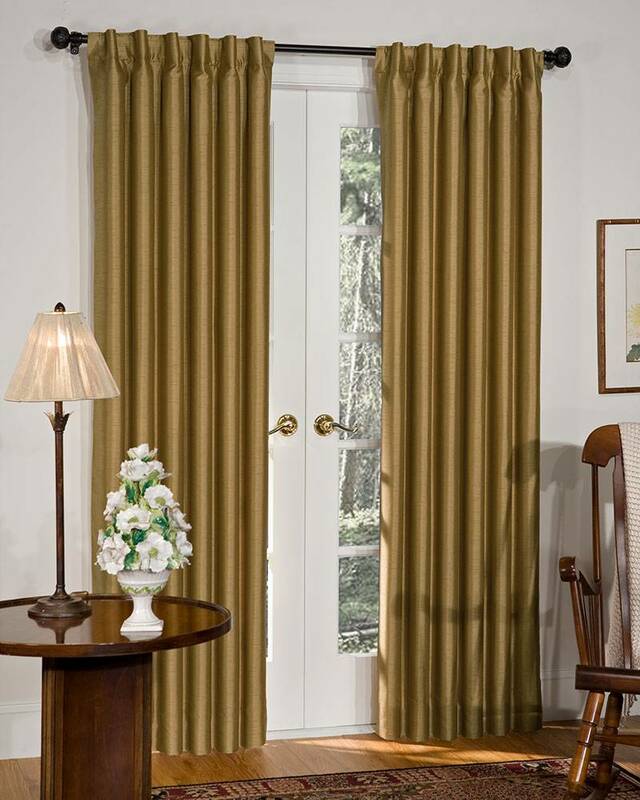 Silkara Lined Back Tab Curtains feature an updated back tab style, with hidden tabs that create a more tailored look. These Curtains can be hung in three different ways. For a more traditional look, shirr rod pocket onto a decorative rod. Or as pictured above, you can create a more modern, pleated look by sliding a decorative rod through tabs located on the back of the curtain. For a third variation, hang with clip rings. These beautiful curtains are fully lined for body and protection from sunlight. Handcrafted and available in your choice of 14 colors, Silkara Lined Back Tab Curtains are made-to-order in our Pretty Windows workroom in the USA.